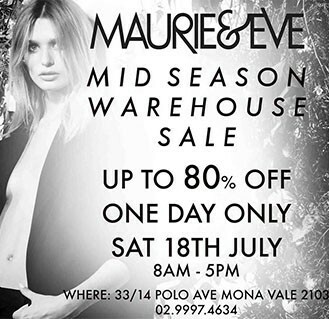 Maurie & Eve Mid season Warehouse sale, one day only. 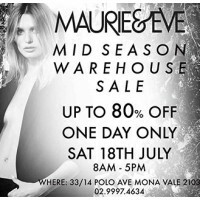 Saturday 18th July. 8am – 5pm. Unit 33/14 Polo Avenue Mona Vale 2103.